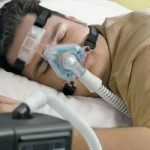 Other than among people with severe nasal obstruction, CPAP has been found to be 100 percent effective in eliminating snoring and sleep apnea when used correctly. But long-term compliance is about 70 percent, according to some studies. That’s because some people become claustrophobic when using the mask or find that CPAP is difficult to use when traveling. To determine if CPAP might be right for you, your doctor will review your medical history, lifestyle (such things as use of alcohol and tobacco, as well as exercise habits), cardiovascular health and current medications. You’ll also undergo an ear, nose and throat examination to evaluate your airway, says the American Academy of Otolaryngology — Head and Neck Surgery. 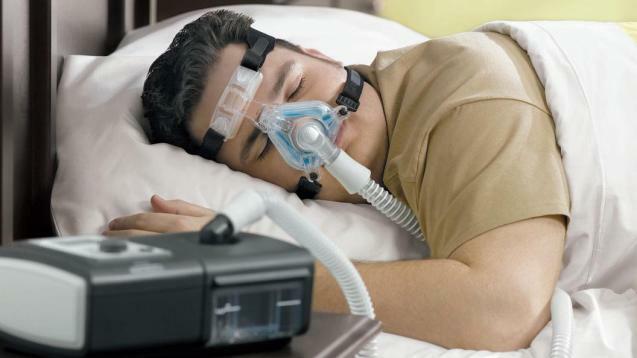 Also, before you can begin using CPAP at home, the proper air pressure has to be determined during a sleep study. Adjusting to using CPAP might take a while. As some users have said, at first it feels strange to wear a mask at night or to feel the flow of air. 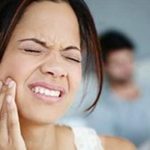 This is similar to what a stop snoring mouthpiece such as Pure Sleep feels. Taking time to get used to the mask might help. Begin by holding the mask on your face for short periods during the day. Then try wearing it with the straps. Next, add the hose. Once you’re comfortable with this, try using at night while you sleep. Others have found that relaxation exercises can help while you’re trying to adapt to the CPAP paraphernalia.